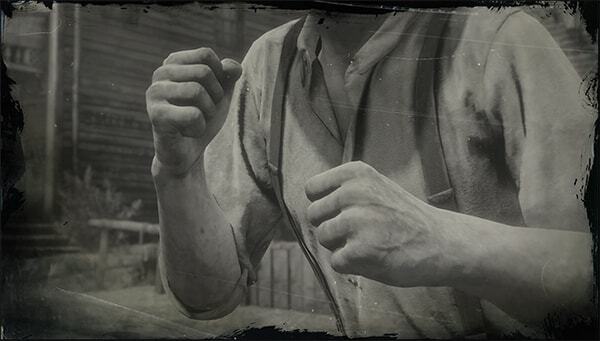 Fists are a Melee Weapon in Red Dead Redemption 2. Fighting with your fists can be useful when ammo is sparse, or to avoid drawing unwanted attention. It also works well when non-lethal means are required, such as robbery or intimidation. Get up close and beat your enemies into submission, or incorporate a bladed melee weapon if you're out for blood. Arthur was born with them, and are his most trusted weapons that will never run out of ammunition or need replacing. Arthur can beat victims to intimidate them into silence. Arthur can also tackle his enemies by running into them and pressing the grab button (Triangle/Y).